For Brecklyn, anything is possible! 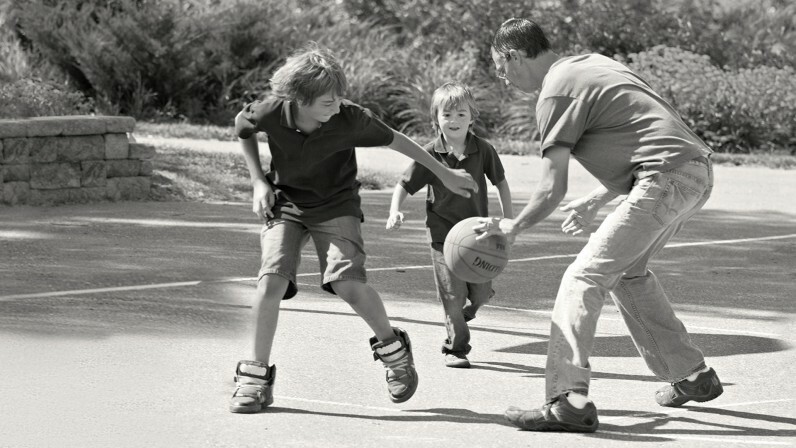 Rick likes to spend his free time with his children – mobility is essential for him! 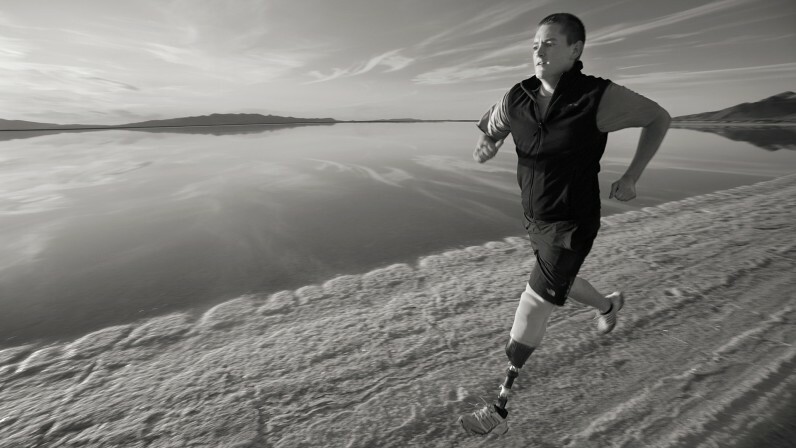 The prosthetic feet from the Triton family of products are suitable for active users. Their outstanding dynamic response and flexibility support mobility at the highest level – in everyday life and for recreational sports. In the development of new technologies, nature is the best model: That is why the anatomy of the human foot is reflected in the characteristic, triangular curved shape of the Triton. 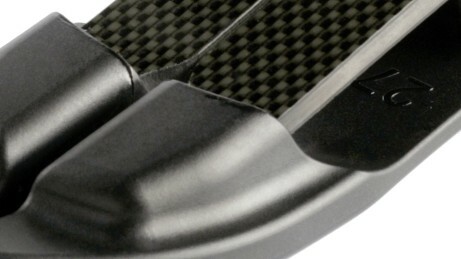 The carbon forefoot spring together with the carbon heel spring forms the load-bearing structure. The high-performance polymer base spring in turn connects these elements to form an integrated system. As a result, the Triton features a particularly harmonious and smooth rollover. The transition to the swing phase is very powerful and you can individually vary the stride length. The adapter forms the connection to other prosthesis components. It connects the forefoot and the heel spring to form a harmonious overall system. With the heel wedge, your prosthetic service provider can easily adapt the Triton to your individual requirements. 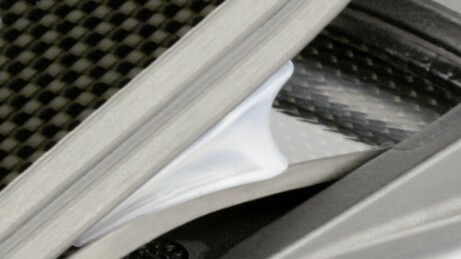 The heel spring dampens the impact at heel strike and, at the same time, stores energy for a smooth rollover. The forefoot spring is segmented. This allows the Triton to adapt easily, also to uneven surfaces. The forefoot spring ensures very good energy return, stability and control at rollover and toe-off. 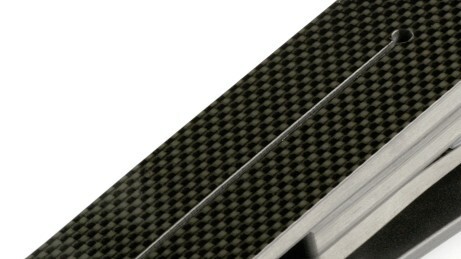 The carbon attachment spring gives the foot the required stability. The big toe is abducted on the footshell, so that you can wear flip-flops as well. When you step down with the heel of the Triton while walking, the spring travel of the prosthetic foot is sufficient for good shock absorption. This relieves strain on your joints and back. The energy stored by the system at heel strike is gradually released in the gait phase. Your rollover is effortless and your gait pattern natural and harmonious. The Triton's interconnected spring system is flexible. Notwithstanding its mobility, the foot's response to shifts in body weight is virtually neutral. Your stance is stable and relaxed. Short and rapid steps or a long stride: The forefoot section is segmented and the load-bearing length of the foot extended into the big toe. You benefit from a powerful transition to the swing phase and are able to vary your strides – just as it suits you. The split forefoot section provides the required control, also on uneven terrain – for example on cobblestone streets in the city or in the forest. 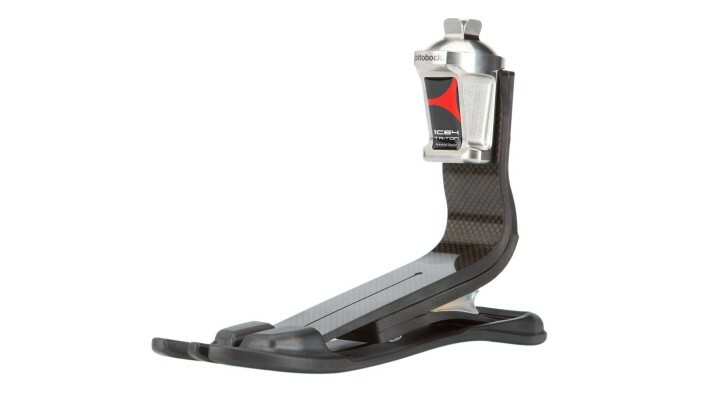 Even sudden changes in direction, which are often needed during sports, are no problem with the Triton prosthetic feet. Fast changes in direction when playing tennis, high jumps at the basketball hoop, hiking on uneven trails, a sprint to catch the bus or standing for long periods of time at work: The Triton is ideal for many different everyday situations and also for sports activities. Naturally you want to wear nice shoes, even with the prosthesis, and not have your selection excessively restricted. That is why all footshells for the Triton prosthetic feet have an abducted big toe, so that you can wear fashionable flip-flops in summer or at the pool. In addition to the normal shape, the footshell is also available in a slim version suitable for higher heels. 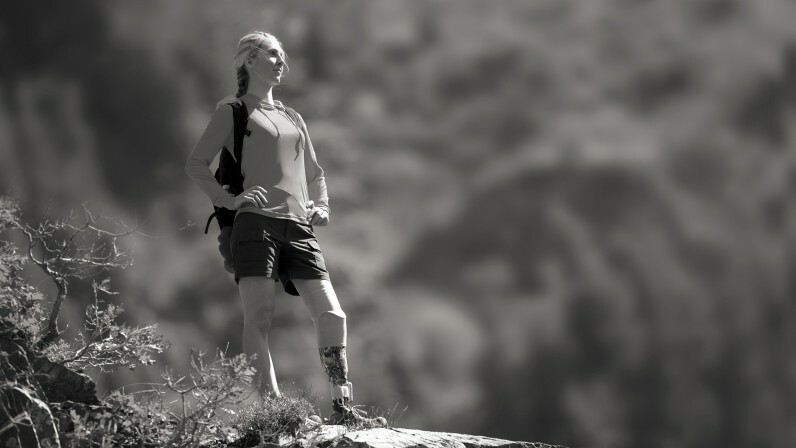 Do you do a lot of sports, or do you need a waterproof or highly robust foot for your activities? There are a total of five different Triton prosthetic feet – suitable for your personal requirements. 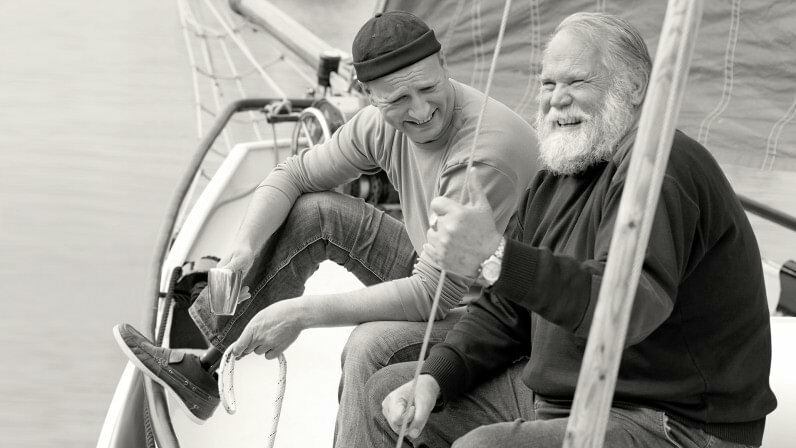 Ask your prosthetic service provider about the Triton foot that is right for you. In addition to the basic version of the Triton, other high-quality prosthetic feet are available with the Triton Vertical Shock, Triton Harmony, Triton Low Profile and Triton Heavy Duty. All of them have the fundamental design of the Triton. However, their functionality meets specific requirements of different users. The objective of a good prosthetic foot is to produce the most natural possible gait pattern. Here what is known as the foot's rollover function plays a central role. The gentler the rollover of the prosthetic foot, the smoother the wearer's gait pattern. Thanks to its unique design, the Triton not only offers you precisely this characteristic but also provides stability, safety and good control on uneven surfaces – with excellent wearer comfort. 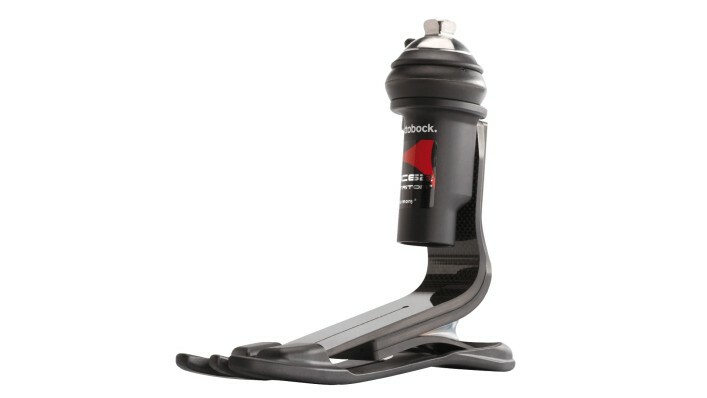 The Triton Vertical Shock offers additional shock absorption for you. The forces acting on the residual limb while walking, running and especially during intense sports activities are noticeably reduced. 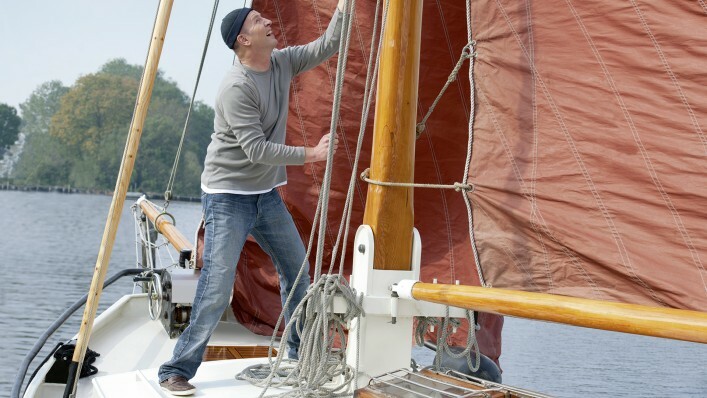 Therefore the foot provides you with reliable support, even under extreme loads. Like the Vertical Shock, the Triton Harmony provides additional shock absorption. 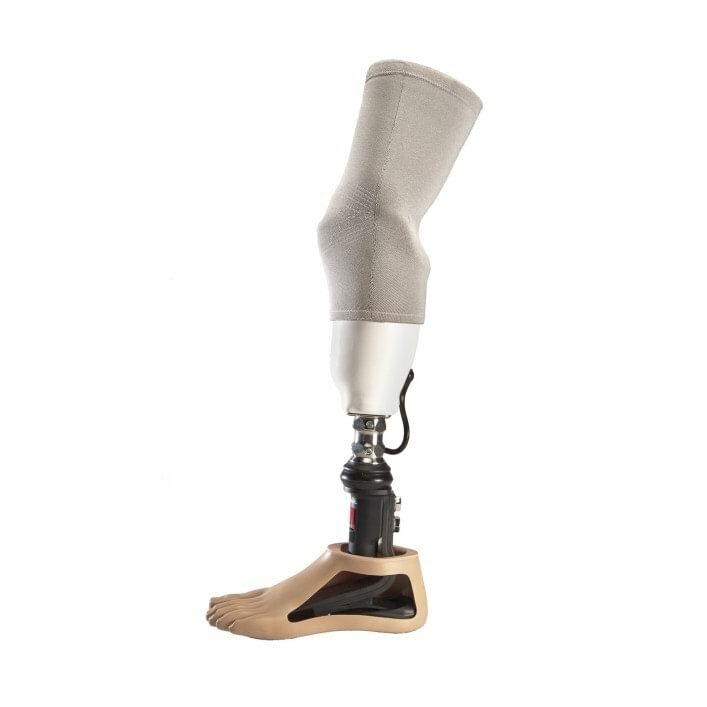 With the Harmony, it also features an active vacuum system that improves adhesion between the residual limb and the prosthesis. This close connection results in improved proprioception and an additional plus in safety for any situation. 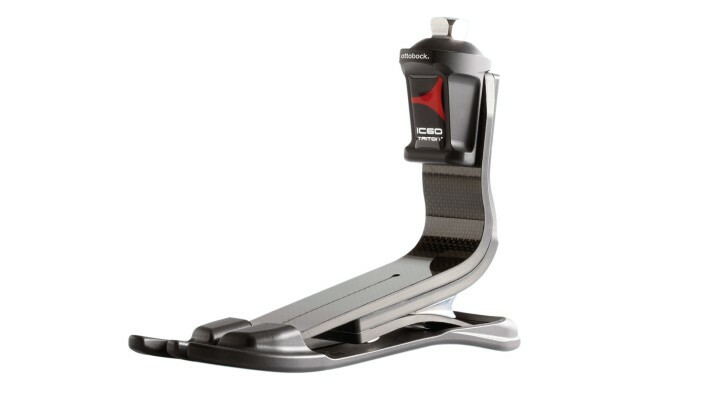 The Harmony system helps stabilise the residual limb volume as well. 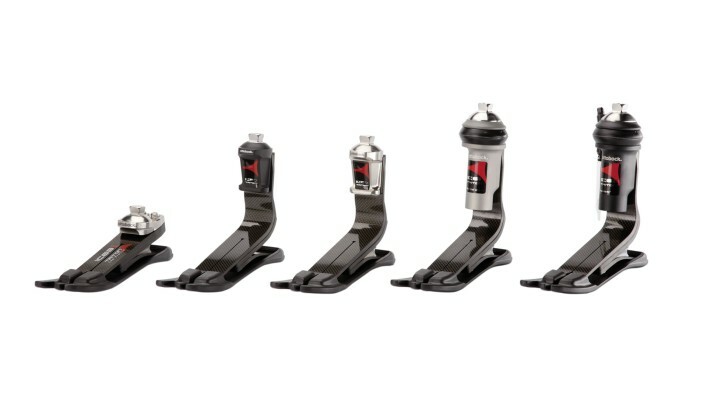 With the Triton Low Profile, you can benefit from the dynamic response and flexibility of the Triton feet when the structural height available to integrate the foot is limited. 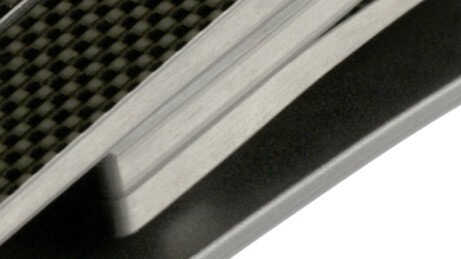 Using a titanium adapter and corrosion-resistant screws makes the foot extremely resilient as well as water-resistant. 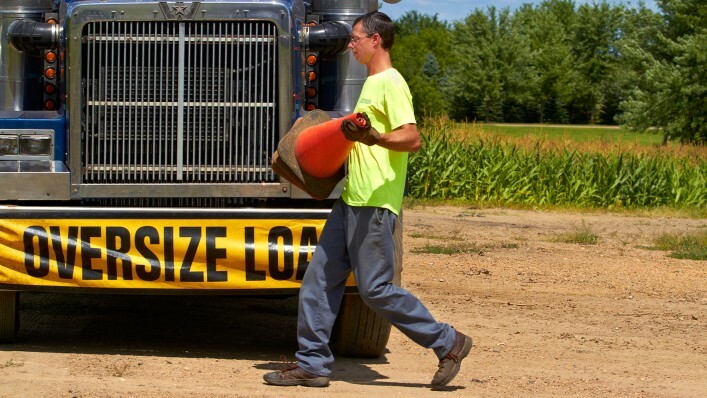 The Heavy Duty offers a higher load limit for very active users. Ottobock recommends the highly robust Heavy Duty for extreme occupational and recreational requirements, in case of contact with water or moisture, and for high loads. Non-corrosive metal parts and screws make this foot water-resistant as well. 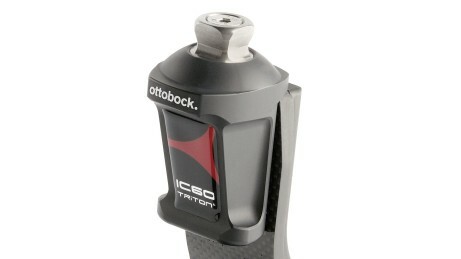 For transfemoral amputees, Ottobock recommends the Triton in combination with the C-Leg and Genium. The microprocessor-controlled knee joints are suitable for active users and support the natural gait pattern down to the details. This is made possible by the latest computer, sensor and control technology. As a result, the knee joints respond intelligently to a wide variety of everyday situations. For whom are the Triton prosthetic feet suited? Ottobock recommends the Triton feet for active persons and people of all ages who place special emphasis on their mobility and independence. 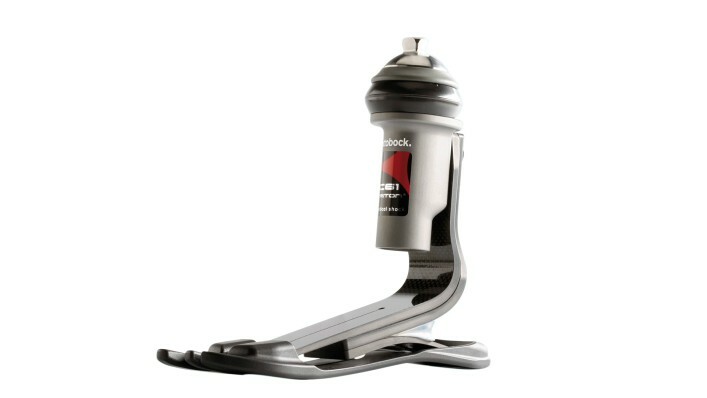 The prosthetic feet are suitable for various walking speeds and surfaces. This allows both comfortable everyday walking and recreational sports activities. Can I participate in sports with the prosthetic feet? 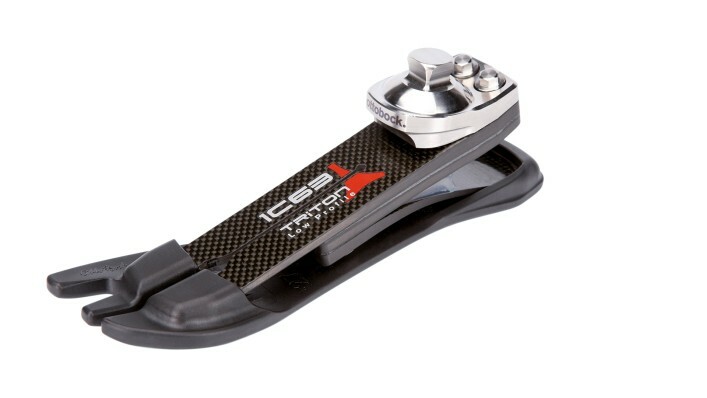 Yes, the Triton prosthetic feet are suitable for common sports such as jogging, ball sports and cycling. Providing added shock absorption, the Triton Vertical Shock and Triton Harmony are especially well suited for sports that involve jumping and fast movements. Can I use the Triton feet as part of a transfemoral prosthesis? Yes, the Triton feet are suitable for all amputation levels. Who will select the right Triton foot for me? Your prosthetic service provider will make the right choice together with you. Discussing this together is important in order to find out how you use your foot in everyday life – so that you will find the best individual fitting solution for you. Are the Trion feet waterproof? Both the Triton Low Profile and the Triton Heavy Duty are equipped with titanium adapters. Corrosion-resistant screws and metal components are used. As a result, these feet are not damaged by fresh or salt water. However, the feet should always be cleaned and dried after contact with water or sand. 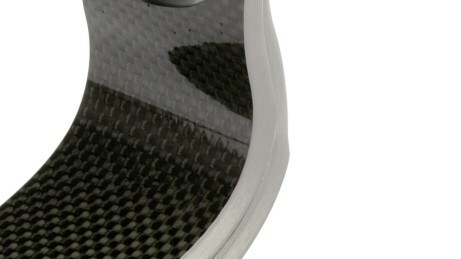 Do I need a new prosthesis to use the Triton? No, the Triton can be integrated into new as well as existing modular prosthesis systems without any problem, provided the structural height is sufficient. It is connected using an integrated adapter. If you want to use a Triton Harmony, your socket must be fabricated according to the requirements for the Harmony system. Do I need to wear special shoes with the Triton? No, the Triton is delivered with a footshell that is based on the shape of a natural foot. A slim footshell is also available for use with shoes with a slight heel rise. Both versions allow you to wear thong sandals.